Food processing, food preservation, food production and food manufacturing are all interrelated terms that refer to the processes used to turn raw agricultural products – and in some cases products harvested from the wild – into consumable foods. These processes are used to make foods safer and more palatable to human consumers. Although food processing is often done in industrial settings, individuals use a variety of at-home food processing methods as well. One example of at-home food processing is cutting, deboning and cooking a fish after it has been caught. Food processing takes many different forms. Some foods require little or no processing, like an apple that can be picked from the tree and eaten immediately. Others are inedible unless they undergo some type of processing. Food processing methods fall into three categories: primary, secondary and tertiary. Primary food processing is the process of turning raw agricultural products into foods that can be consumed. In some cases, the food is ready to be consumed once primary processing is finished. An example of this is jerky made from smoked meat. In other cases, primary processing turns the agricultural product into an ingredient that can then be made into a consumable food, such as milling grain to create flour. Secondary food processing is the process of using ingredients produced through primary food processing to create ready-to-eat foods. An example of this is using flour to make dough and then baking the dough to create bread. Other examples include fermenting grape juice with wine yeast to create wine and using ground meat to make sausages. Tertiary food processing is the large-scale manufacturing of ready-to-eat foods, like frozen pizzas and packaged snacks. The term “processed food” typically refers to food products manufactured through tertiary food processing. Some foods require multiple types of processing to reach their final, consumable forms. For example, tortilla chips. Corn is grown, then harvested and nixtamalized – the process of soaking it in an alkaline solution – before being made into dough. Then, the dough is used to create tortillas, which are then cut and either baked or fried into chips. When this process is done at an industrial scale and sealed in airtight bags, it includes tertiary food processing methods after the food has gone through primary and secondary processing. Food preservation is a key part of food processing. Preserving food is a form of processing it, and many other forms of food processing require the food to be preserved first. There are many different food preservation methods in use, some of which can be done at home and others that require the use of commercial food manufacturing equipment. The goal of many of these food preservation methods is to completely block air from reaching the food and causing a chemical reaction that results in spoilage. This includes the moisture within the food evaporating and contact between food tissues and oxygen causing oxidation. Beyond food preservation, there are many different forms of food production in use today. Like food preservation, some can be practiced in home kitchens and others require industrial equipment. Food production and food processing aren't the same thing, but there are overlaps between them, and in some cases, a specific process can be used to process food as well as produce it. Generally, “food processing” refers to the processes used to change raw materials into food products that can be eaten immediately or after minor preparation, while “food production” refers to the specific processes used to make the food ready to eat. Put another way, cooking is a general term for food production. Food production also covers the other steps involved in creating a meal from grocery products, like slicing and marinating meat before grilling it. Emulsification, the process of completely blending two or more liquids, is one process that can be used for both food processing and food production. Using a commercial emulsifier to manufacture shelf-stable salad dressing is a way it's used in food processing, while cracking an egg into a bowl of flour, milk, sugar and other ingredients to make pancake batter is the use of emulsification in food production. The phrase “food manufacturing” refers to the large-scale industry of commercial food production. Everything from raising animals for the meat and dairy industries to the commercial production of spice blends, flours and other packaged ingredients to the production and packaging of ready-to-eat foods falls under the food manufacturing umbrella. Companies in the food manufacturing industry are required to comply with the health and safety laws enforced by the countries in which they operate and sell their products, such as the United States Food and Drug Administration (FDA). Every product available on grocery store shelves is a product of the food manufacturing industry. Even ready-to-eat produce like bananas and oranges were manufactured specifically for human consumption, and this manufacturing includes quality control checks, preservation methods like cold storage and wax treatment and the application of stickers noting their brands and PLU numbers for grocery store cashiers. Food manufacturing and, within it, methods used in food processing and production, can have drawbacks as well as benefits. Certain foods are made easier to digest and more nutritionally dense through these methods, while other foods – and in some cases, the same foods – can be made less nutritionally dense through these processes. Processed foods have a long history of being derided as fattening, nutritionally deficient and increasing consumers’ risks of developing cancer and other illnesses. Other criticisms of the food manufacturing industry include its negative impact on the environment and the human and animal rights violations that can occur on commercial farms and in food manufacturing plants. With these criticisms in mind, many consumers advocate for changes within the industry and for the consumption of fewer processed foods. Out of these advocacy efforts have sprung new niches within the food manufacturing industry, such as organic food production, humane and antibiotic-free meat production and fair trade farming agreements. 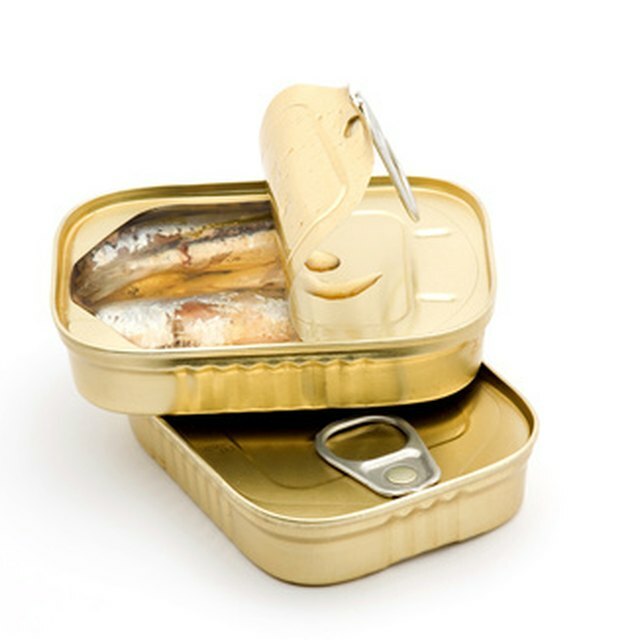 Shelf Life Advice: What is Oxidation and How Does It Alter Food Products? FoodSafetyHelpline.com: What Are the Different Methods of Food Preservation?